With over 30 years experience in the domestic plumbing and heating industry we have the knowledge and expertise needed to ensure that you receive nothing but the best possible service for all renewables, gas and oil central heating installations, new boiler installations, servicing and repairs. Our reputation has been developed through hard work and reliability which is why we are the area's number one choice for renewables, gas, oil and plumbing related work. 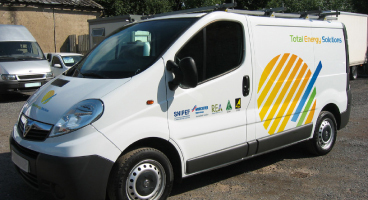 Based in Gullane and the East Lothians, we cater for one off jobs, household and commercial installations. 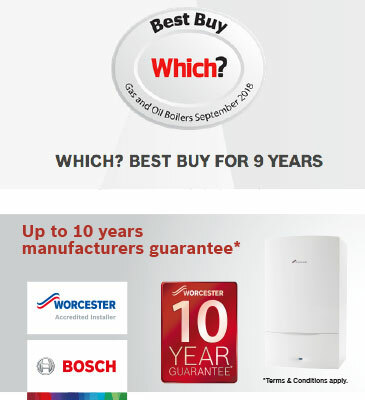 As Worcester Bosch Accredited Installers we are able to offer a 10 year guarantee on selected Worcester Bosch boilers we install and are listed on the Vaillant website as an approved solar installer. We are also able to advise and install solar thermal panels and heat pumps. 10% internet discount, on all labour charges. For further information please see our Trusted Trader profile and our reviews, or if you need an estimate please contact us. Edinburgh, the Lothians, Fife and the Scottish Borders. Registered in Scotland. Registered Address, 25 Muirfield Grove, Gullane, East Lothian, EH31 2EW. VAT Registration Number 902 8088 30.